And so I went back to Kansas for a week of bird-chirping and bunny-spotting relaxation. Even after all these trips, I still have food finds for you! 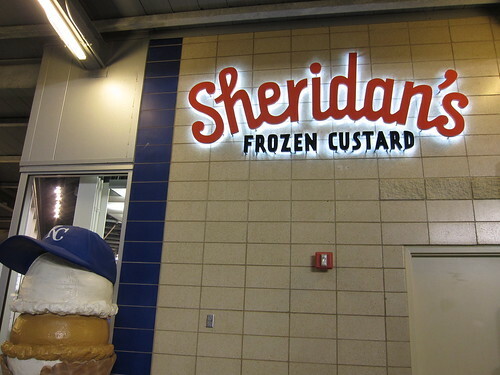 The best of the bunch is definitely the Sheridan's frozen custard stand at Kauffman Stadium, or the $1.75 Monday drink specials at Free State Brewery. A pint for under $2 is unheard-of here in New York. The plan was to go into Kansas City to catch a Royals game on the Friday night aka Buck Night because hot dogs, peanuts, and soda are all $1. I, of course, was looking for something beyond your regular hot dog. I did spot that burnt ends are available, but once that strawberry shortcake eating contest came on the Jumbotron, I immediately began lobbying for a walk out to the Sheridan's stand above center field. 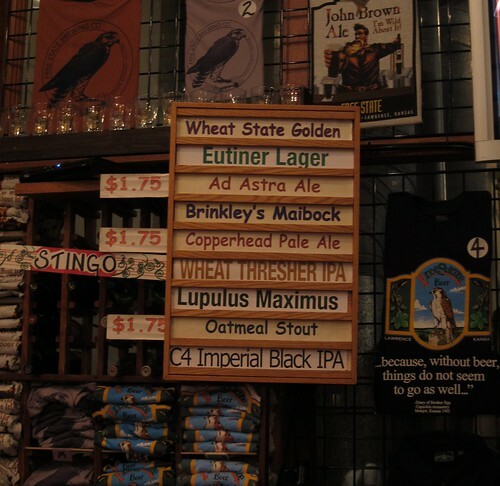 Unlike the stadiums around here, the main store was the only spot to get the good stuff. 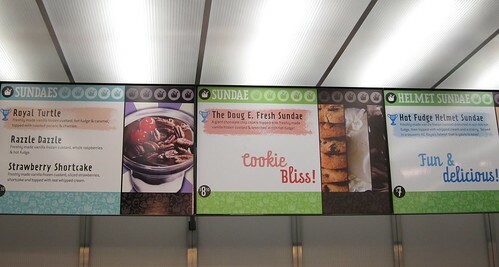 There was another smaller stand selling a much shorter menu. But you want the bigger menu, even if some of the sundaes are over $7. While there are none of my favored rainbow sprinkles on their helmet cup, there is hot fudge and whip cream. The custard is creamy, smooth, and dense. 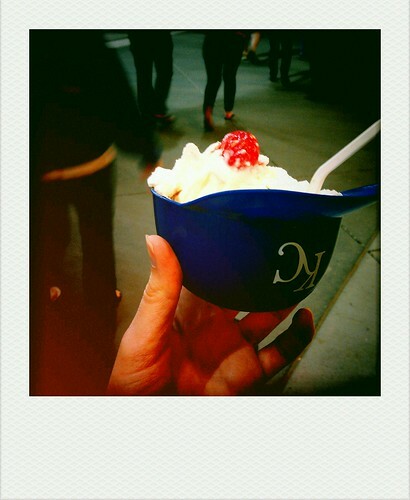 It was nice to have a different texture from my usual soft serve helmet cup. I'll be sure to check out the Strawberry Shortcake during my Memorial Day trip. Or maybe the Doug E. Fresh! Another good find came on the trip to the stadium. A stop for beers lead us to come across Uncle Ray's Potato Chips. I just so happened to need a snack to accompany the tailgating! 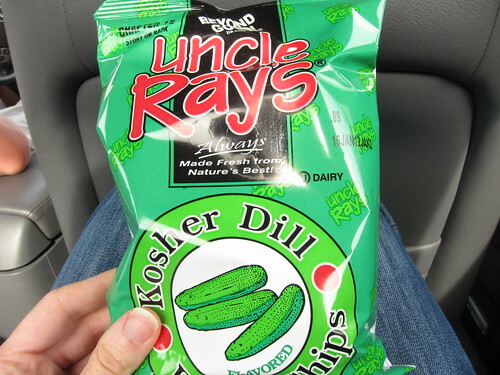 I'm always looking for a chip comparable to Zapp's dill chips, and Uncle Ray's would be good in a pinch. While Zapp's are kettle cooked, Ray's are the normal thin slice, and the dill flavor would need a bit more kick to really get me hooked. They were nice to munch on though, not too greasy nor did they leave my hands coated with flavoring.